President Trump reportedly 'exasperated' over bureaucratic objections to moving embassy to Jerusalem. President Trump is growing increasingly frustrated with opposition to the possible relocation of America’s embassy in Israel from Tel Aviv to Jerusalem, arguing at length with national security staffers last week about a potential backlash, the Washington Post reported. Citing two unnamed sources privy to the details of last week’s meeting, the Post report claimed that President Trump became “agitated and exasperated” with opponents of the embassy move. Sources in Washington and Jerusalem have claimed in recent weeks that the Trump administration is preparing for a major change in US policy vis-à-vis the Israeli capital city, with either an announcement on the relocation of the embassy planned this week, or formal recognition of the city as Israel’s capital. The White House press secretary Sarah Huckabee Sanders and President Trump’s son-in-law and senior advisor Jared Kushner both declined to confirm the reports, with Kushner claiming that the president has yet to reach a final decision. 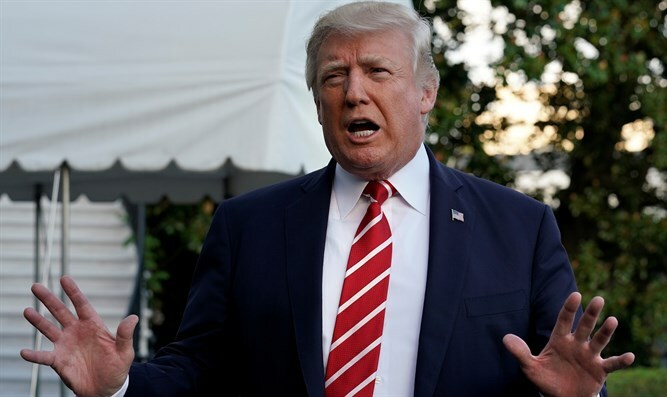 According to the Washington Post, President Trump remains committed to his campaign pledge to move the embassy, and has grown frustrated with pressure from within the government to nix – or at least delay – the move. At last Monday’s meeting, the Post claimed, the president dragged out discussion on the issue for nearly an hour, far longer than had been planned, and was visibly agitated with staffers over their opposition to the embassy move. Last week, Vice President Mike Pence spoke at the 70th anniversary of the vote on United Nations General Assembly Resolution 181, endorsing the establishment of a Jewish state. During the event, Pence said the president was “actively considering” when to move the embassy.